The idea of falling deeply, madly, passionately in love terrifies me. And, honestly, what makes me find it so incredibly terrifying is the possibility of one day waking up and realizing that deep, mad, passionate love that once burned within you is suddenly gone. 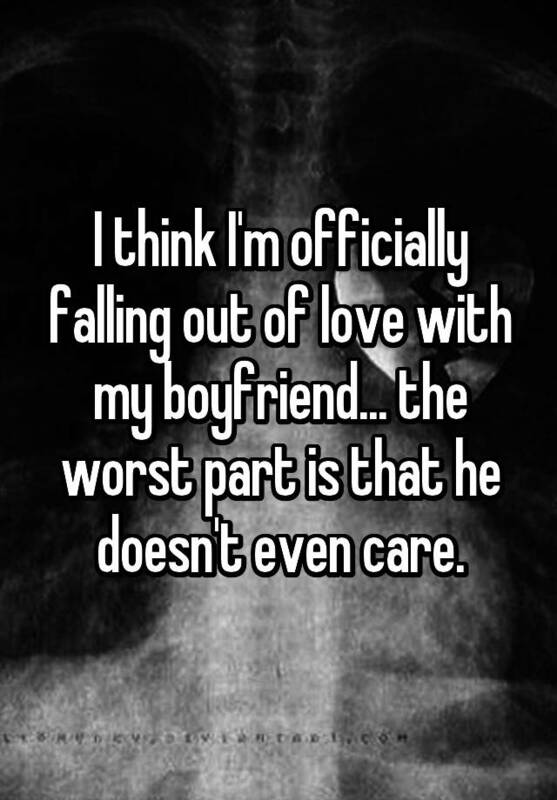 And, what's worse, your partner might still be feeling it. Because that's how the world works, right? We fall in and out of love on different time tables, sometimes with no real rhyme or reason. It just sort of happens. And there's not much you can do about it. 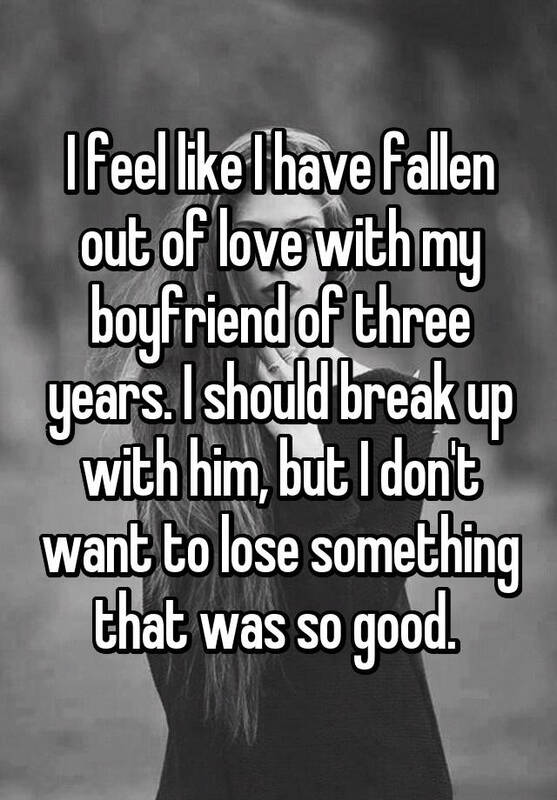 As terrifying as it might be, the concept of falling out of love has always piqued my interest. How does it happen? How does it feel? Do you tell your partner? OMG, how heartbreaking would that be for them. Do you even care about breaking their hearts if you don't love them anymore? I've always been curious. 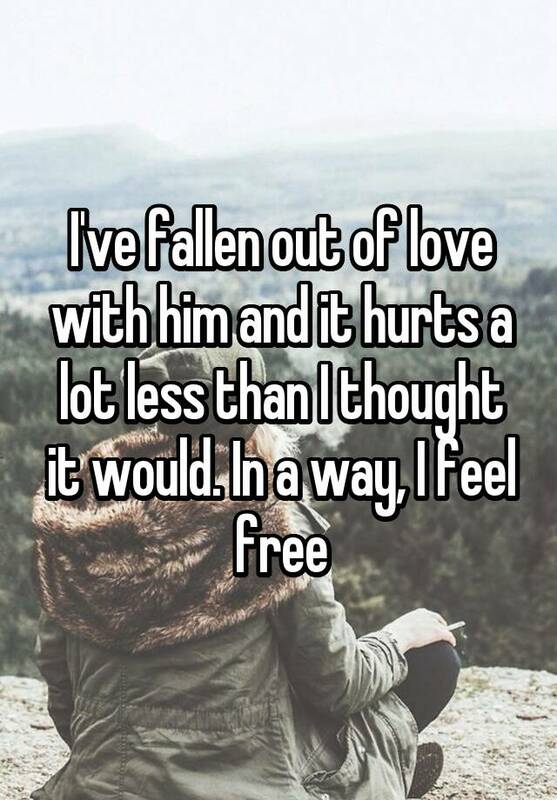 If you've shared my curiosity, read about these people who anonymously confessed about the moment they fell out of love with their partners. "All of a sudden, I don't feel anything." "I am scared of losing something that was so good." 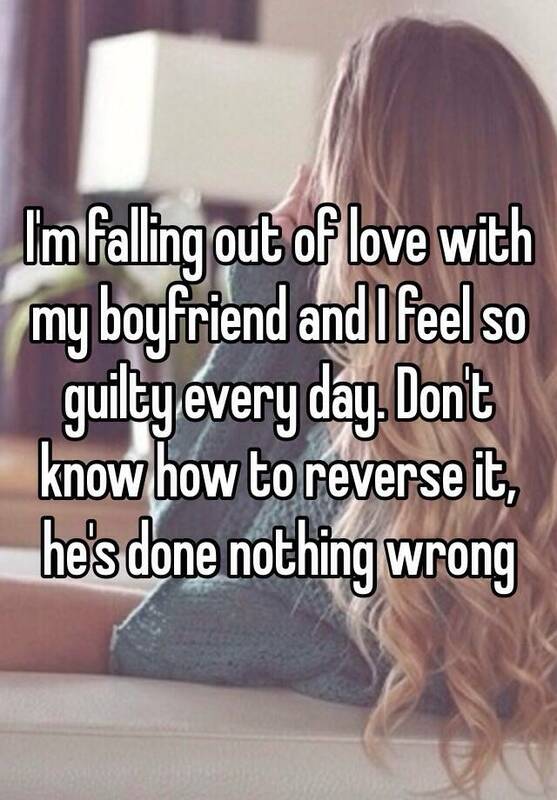 "I don't even think he cares that I'm falling out of love with him." 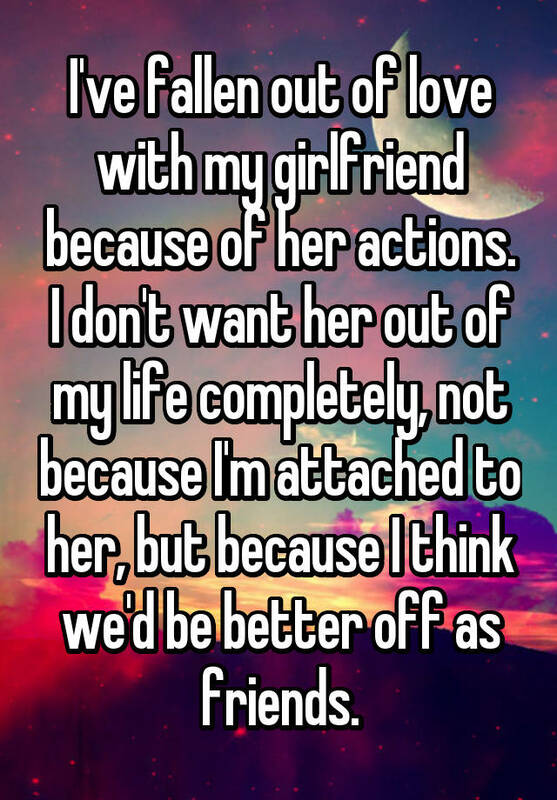 "I think we'd be better off as friends." 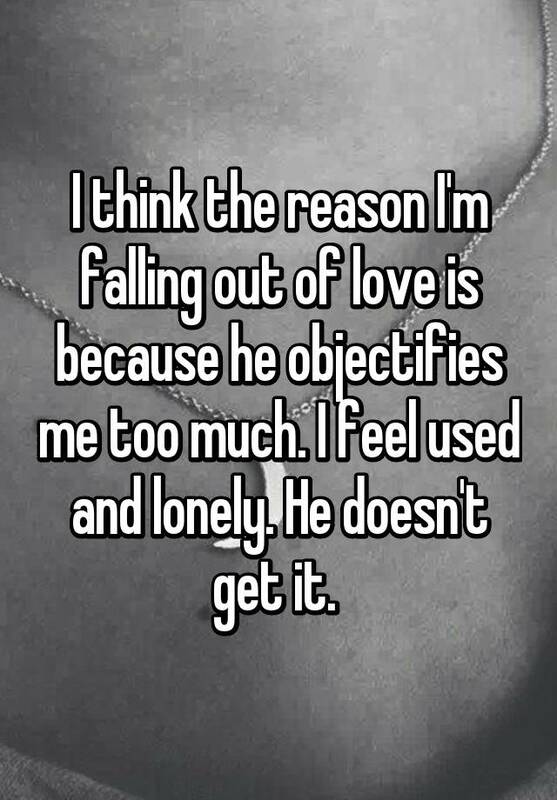 "I feel used and lonely." "In a way, I feel free." "I have no idea how to tell her." 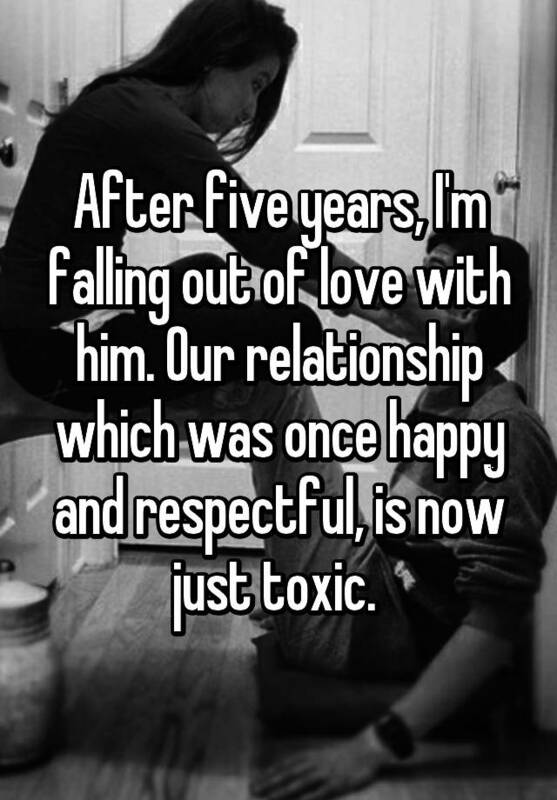 "Our relationship is just toxic." 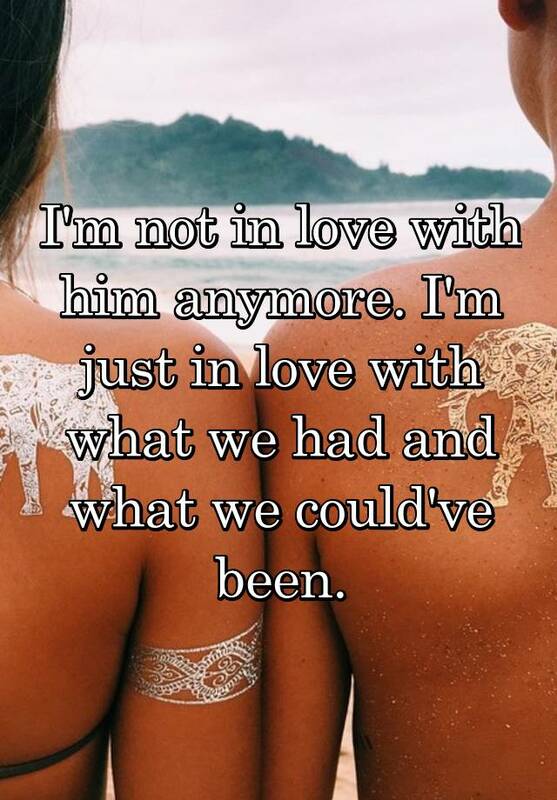 "I'm in love with what we had and what we could've been." 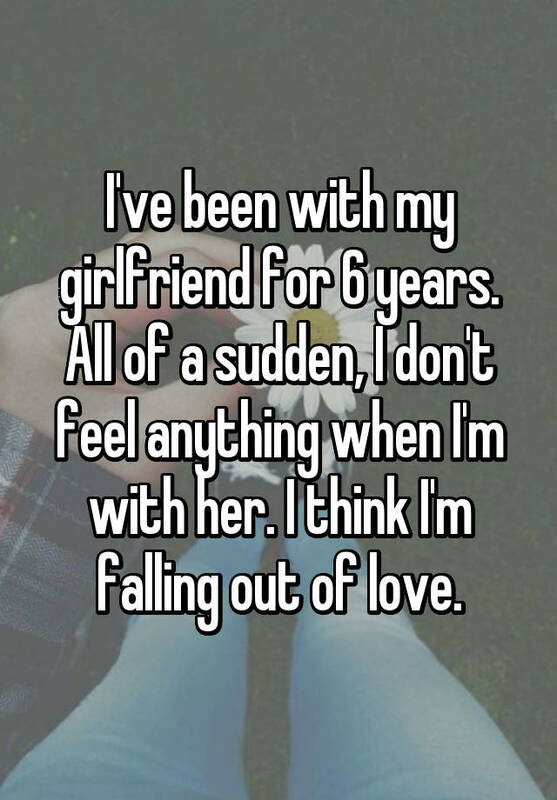 For more relationship confessions, check out Whisper.